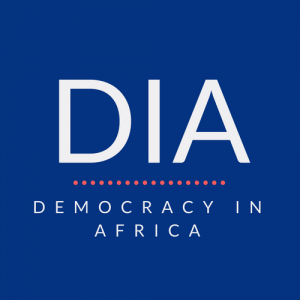 Brandon Kendhammer interrogates the relationship between Islam and democracy in northern Nigeria in this piece for DiA, using research from his book ‘Talking Politics: Framing Islam, Democracy and Law in Northern Nigeria. Political science has struggled to approach the impact of religion on political life without relying on simplistic paradigms that fail to capture the lived experience of being religious. In Muslims Talking Politics: Framing Islam, Democracy, and Law in Northern Nigeria, I attempt to approach the “relationship” between Islam and democracy not as a given, but as a process of learning and public reasoning. Borrowing theory and methodology from U.S.-based studies of public opinion and political reasoning, I argue against the “exceptionalism” of Islam’s relationship with democracy by finding that Nigerian Muslims reason out from their values and beliefs to their political opinions in much the same way as citizens in democracies around the world. Nigeria’s transition to democracy in 1999 has surprised sceptics by enduring for nearly 20 years. Yet Nigerian democracy remains tumultuous, corrupt, and violent, a major disappointment to the ordinary citizens who eagerly awaited the “dividends of democracy” promised by politicians. One of the most important moments in the process of negotiating what democracy would look like in the current Fourth Republic was the mass popular movement across much of northern Nigeria, beginning only a few months after the official transition, in favor of the implementation of sharia (Islamic law). The proposal eventually brought hundreds of thousands out into the streets to demand their state governments follow suit. In all, 12 Muslim-majority states adopted some version of sharia into their state criminal legal and procedural codes, as well as creating new public policy initiatives to promote religious values in the public sphere. Critics argued that these policies were not only violations of non-Muslims’ human rights, but antithetical to the democratic process. And indeed, high-profile cases prosecuting poor women for adultery (and threatening them with stoning) and amputating the hands of convicted thieves seemed to validate these concerns. Yet many of sharia’s most committed supporters seemed to support the Fourth Republic’s democratic project, with a particular emphasis on the need for greater governmental accountability and attention to the expressed needs of citizens. How were Nigerian sharia supporters squaring what seemed to be an anti-democratic initiative with their democratic aspirations? My book seeks to answer this question, and I relied on two unique sets of data. The first was a database of more than 1,000 newspaper articles covering the sharia implementation controversy written for a northern, Muslim audience and published in a leading northern daily. What it reveals is that the actual “sales pitch” for sharia to local Muslims was focused much more on suggesting Islamic law’s compatibility with the new democratic realities. The leading narratives focused on the “rights” of Muslims to advance their religious interests in a free society, the usefulness of Islamic morality in facilitating an end to corruption and advancing the cause of economic and social justice, and in holding the elite class—who nearly all Nigerians blame for the country’s political and economic failures—accountable to both the people and God’s will. The second was a set of group interviews I undertook (about 100 total participants) with mostly working-class citizens in Sokoto, one of the country’s largest Muslim-majority cities. These interviews were designed to answer a series of questions about how “ordinary” Muslim citizens worked out their views about Islam, law, and democracy when put in the spot in a conversation. Did they rely on theology? Or did they draw on their personal experiences, the debates happening in the media, and each others’ responses? Over the course of these conversations, what I observed was a definitive rejection of the “Islamic exceptionalism” thesis. My interviewees engaged in political reasoning that emphasized the “frames” and arguments about sharia’s compatibility with democracy in the regional media, and argued consistently that the two could work together. More strikingly, I observed citizens drawing on a wide range of discourses and experiences—democratic language, shared religious values, and their own sense of identity as working-class Muslims who have often been poorly served and represented in local and national politics—and that was flexible and sophisticated. In other words, Nigerian Muslims reason about politics in roughly the same ways as voters in rural Wisconsin (where I grew up, and where political scientists have also explored the process of citizen political reasoning to great effect). While it’s hard to see sharia supporters as committed liberal democrats (and I don’t think that they are), it’s also hard not to recognize that their efforts to make sharia and democracy compatible in practice means something important for the future of democratic government across Muslim-majority Africa. The primary research for this book ended in 2010, roughly a year after the deadly clash in Maiduguri that brought the extremist terrorist group Boko Haram to international public attention. In light of the group’s now nearly decade-old campaign of violence across the Lake Chad basin, are my findings that most Nigerian Muslims are surprisingly committed to democracy still relevant? To address this, there are two points worth making. The first is that while some of what Boko Haram espouses on religious grounds—distrust towards “un-Islamic” forms of knowledge, intolerance of Christians, even the possibility of a single, “correct” interpretation of the Islamic tradition—are widely shared by many northern Nigerian Muslims, the group has never managed to generate a genuinely mass following. As numerous studies have demonstrated, religious ideology has often played a secondary role in driving participation in Boko Haram than more prosaic motivations like economic incentives, coercion, and even the desire for revenge against state-sponsored violence. The second is that the rise of Boko Haram is inseparable from the poor governance, corruption, insecurity, and state violence against civilians that led to the movement for sharia in the first place. As both myself (in a forthcoming book later this year) and others have argued, the failures of Nigeria’s ruling political class to peacefully contain the nascent version of Boko Haram in the 2000s played as large a role as its ideology in the group’s rise. Rather than seeing Boko Haram as part of a mass repudiation of democracy in favor of religious extremism, it is more useful to see it as a project that—even if it does tap into real religious discourses—is only possible in the context of a legacy of state violence against religious dissenters who challenge (both democratically and non-democratically) the political status quo. Where things go for here for Nigerian democracy will depend an awful lot on how these extremist voices are (or are not) eventually defeated. Brandon Kendhammer is Associate Professor of Political Science and Director of International Development Studies at Ohio University, in Athens, OH. He has published widely on religion, ethnicity, and politics in Nigeria. 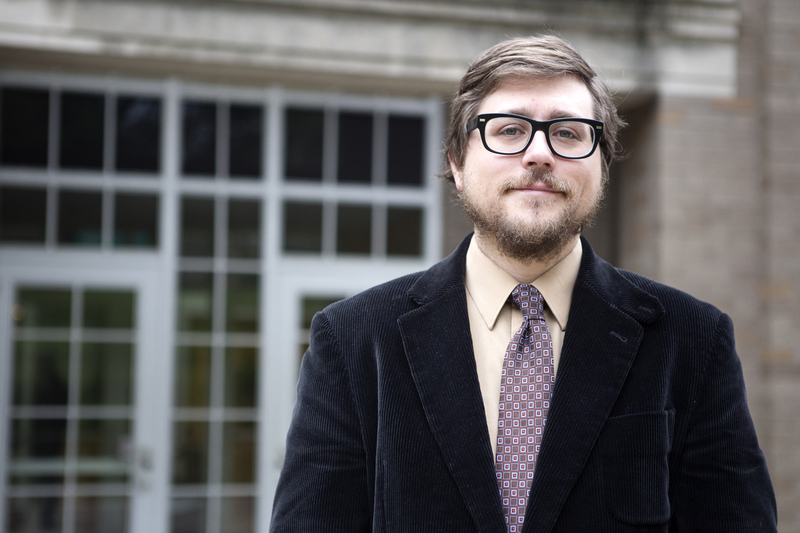 His latest book, Boko Haram (with Carmen McCain), is out with Ohio University Press in November 2018. Previous articleZimbabwe: What went wrong with the MDC?